It begs to be asked, therefore: how does the imposition of importation duties on meat products really affect inflation in the country? Last year, with the sudden surge in inflation, the Department of Trade and Industry asked concerned stakeholders to lower farm gate prices of poultry products. To the extent that pressures from market dynamics would allow, cooperate our local poultry raisers did. But then here comes the Department of Agriculture lifting the special safeguard duty (SSG) on the importation of mechanically deboned meat. This lifting of SSG on poultry imports came in August 2018 and was also purportedly aimed at easing inflation. Hence, farm gate prices of chicken in some areas fell to as low as P38 and the local producers are the most ill-affected. The poultry raising sector is reeling from chicken prices going to as low as P90 per kilo in public markets. Local producers felt double crossed. While ostensibly good for the consuming public in the short run, this situation where the importation of chicken has become deregulated and uncontrolled with extremely low farm gate prices can have unwanted longer term implications on the industry. Notably – and this is contrary to the basic notion of setting levies on imports – even under a high-duty regime (with duties at 40 percent rate), the importation of grandparent stocks, parent stocks, and frozen chicken have actually been increasing from 2014 to 2018 as follows: grand parent imports by 106 percent; parent stocks imports by 68 percent; and frozen chicken imports by 74 percent. On the other hand, the zero-tariff regime did not matter much as regards reducing the retail prices of chicken meat, with wet market retail prices still ranging between P125 and P160 per kilo. The original aim of the lifting of duties was not really addressed! Yes, the SSG lifting even brought down farm gate prices to P38 per kilo which is way below the local cost-to-produce of P80-P85 per kilo (live weight). Local farmers cannot compete for long with huge losses under such a regime of increased imports, especially with the better production conditions under big local players causing the further increase of local supply. The intense flooding of the market will drown out many local producers. It begs to be asked, therefore: how does the imposition of importation duties on meat products really affect inflation in the country? The DA has cited a study of the Central Bank which shows how a 40 percent tariff rate on meat products will not really affect inflation rates significantly. Contrary to this, meat importers have said that a higher tariff on meat products would result in less imports and higher production cost for processed meat and canned meat producers. They have been so specific to even posit that reversion to a 40-percent tariff would raise prices of canned goods by as much as P17 per piece. At any rate, the fact remains that it is government that has prodded and enabled importers to bring in more goods. These importers committed themselves to such a task. Thus, a flooded market and all its worrisome features and implications, not the least of which is the possible displacement of millions of workers among our local broilers, since they are forced to selling at a loss. The latest rough estimate is that there are 8.3 million workers at risk among us because of this zero-duty regime! This 8.3-million figure is no joke. This is a number that can swing election results. Government should look into this. 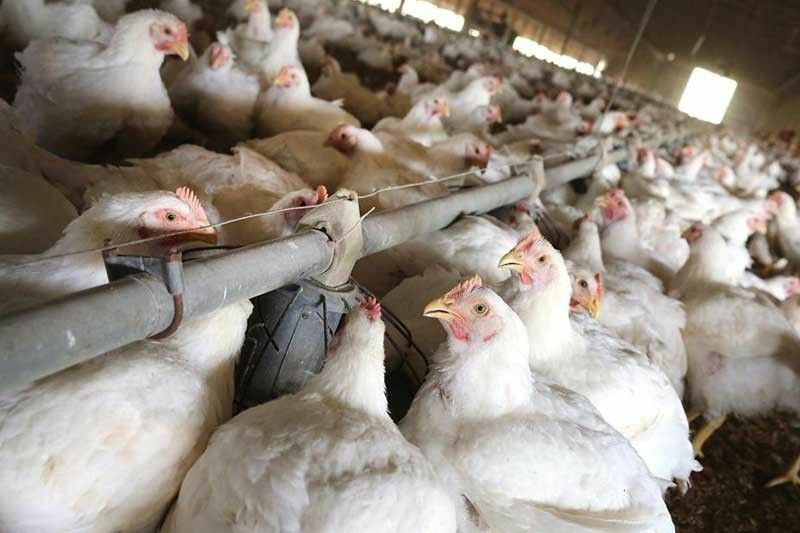 Especially, considering that our local broiler production is forecast at 1.4 billion in 2019 with consumption at 1.0 billion, it is perhaps time for government to truly rethink its strategy and impose import control. First, set up or assign an independent regulating body to put a cap on the chicken importation (Grand Parent Stocks, Parent Stocks, and Hatching Eggs) to prevent oversupply of local production of live chicken. Strictly impose 40 percent tariff on all livestock and poultry meat and by-products to refulate supply flow and protect our own poultry industry. Design and provide subsidies and incentives for the inputs to feeds for local millers and thus create a more conducive support system for local farmers or poultry producers. Revisit and review the principle of minimum access volume as well as its recipients since it is the traders that take advantage of it, displacing the local producers and integrators. If local poultry raisers and farmers feel double crossed by government policies given the purported favoring of the interests of importers or traders, we should not be surprised. All things considered, with so much imported chicken meat having crossed our borders, there is an urgent need for a more strategic approach to developing and sustaining the local poultry industry. Louie Montemar is a fellow at Stratbase ADR Institute, a partner of Philstar.com.